The more features we demand from a new iPhone, the more we know there will be some sort of compromise, and more often that not it is the iPhone battery life that suffers. Apple has had a huge issue with this over the years and while they have made some improvements, they still have a long way to go. Apple has made a few changes, such as introducing new, larger batteries in their iPhones, but their biggest strides have been to the software. It does seem as though Apple is more concerned about making tweaks to their iOS to get more life from the battery, but surely this needs to change now? It is for this very reason why we say the iPhone 6 needs hardware, not software battery innovation. We are not saying that you cannot achieve some good results with software, as with the correct software programming it can change things dramatically; you only have to look at how software has made it possible to compress files so small, allowing to send larger amounts of data to each other, although Internet speeds has played a huge part in this as well. However, it does not matter how clever the software is, the iPhone 6 battery life will need to rely more on hardware, as we know Apple can only do so much with their iOS. The issue that Apple has, along with their rivals as well is the current battery technology, because it has not evolved as much as the technologies around it. Apple needs to use some of their assets and then be the fist to offer a newer battery technology and introduce it into the iPhone 6, which we expect to see next year, although if rumors are correct about a possible release later this year, then we guess we will have to wait for the next one, as we cannot see Apple making these kind of improvements to their battery technology so soon, as we would have at least heard some rumors. 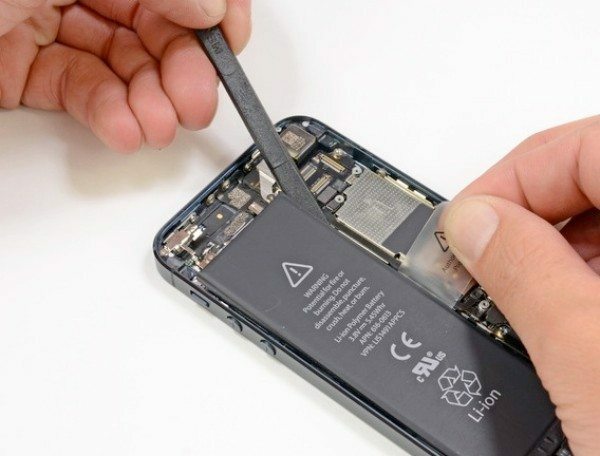 We find it strange how we heard a rumor a couple of years ago that Apple was working on a new kind of battery technology, which if we remember correctly was called liquid metal. It seems as though that technology has come to a complete stop, or Apple still has a long way to develop and implement it? There have been some amazing breakthroughs in battery technology, which you can read about here, but it is clear to see this is a long way off. However, Apple has filed a patent that looks at the way the battery better manages its power, as it uses several factors, such as GPS, location and time, and so scans to see how much battery consumption it needs to use. You can read about this patent in more detail here, and while it is still in the patent stage, it is possible to be ready for use in the iPhone 6, if it gets to the production stage. It is clear there is a long way to go before we have an iPhone, or any other smartphone with a battery that can last for days instead of much less than a day for many of us. What battery innovations would you like to see happen?